We’re all agreed that working out every detail of a plan in advance has advantages. Right? …Or are we? the competition decides to stand still whilst we complete our work. Such steady state conditions are now extremely rare as the business climate is harder to predict and the trends and advances in technology happen in such rapid succession. 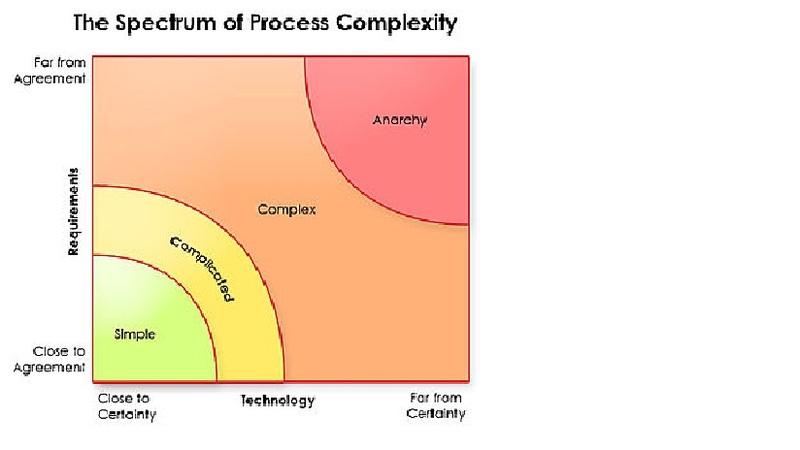 So many more projects are now categorised as complicated, complex or even chaotic (see above)! The Project Management processes designed to deal with these more complex projects are called “Agile” and are characterised by regularly tested iterations of the initial outline analysis, plan and design. These iterations typically span a 2 week period and are a break from the traditional and wasteful exercise of planning everything in advance. Success in such projects relies upon a much more adult approach in adapting projects to change. And the key to this is having a motivated, self-organising, cross functional team; and one where the customer is properly represented. How do you build such a team? For many organisations the adoption of agile project management approaches, like Scrum, requires some considerable transformation. Companies structure themselves around specialities and these become compartmentalised. Consequently projects attract such a volume of individuals representing each of these compartments that group dynamics doom the initiative from the start. A self organising and cross-functional team will not need to involve so many people – the ideal is between 5 and 9 people – and those individuals that are involved are empowered to be creative and use their own judgement in meeting their objectives; a sure route to a more motivated work force. Building this dream-team then becomes a challenge. A team of this sort needs courage, discipline, powerful communication, maturity, belief and a strong focus on delivery. 3) The Team; those empowered individuals who have the freedom to work out how best to deliver the project outcomes given the resource and time at their disposal. 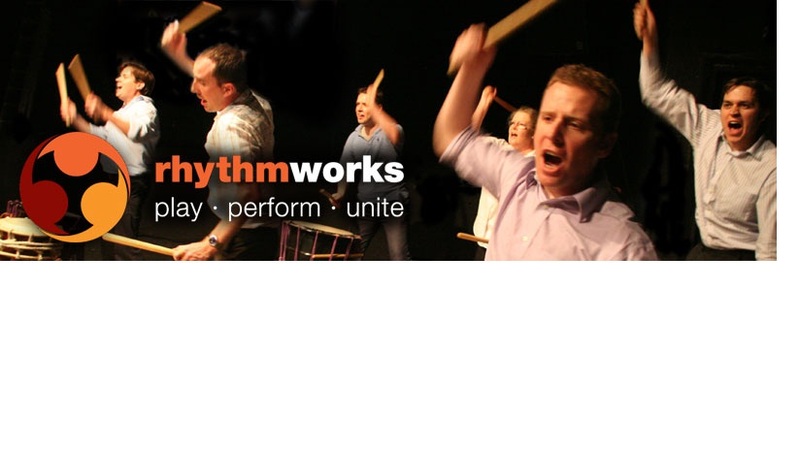 Rhythmworks has, for the past 10 years, worked on building and improving the performance of such teams. Each programme culminates in a performance designed using the same agile processes we have learned during the day. Contact doverton@dbyhundred.co.uk to learn more and to talk with us about how the Rhythmworks scrum programme can help your business transform. ← An International Ordnance Survey? – It’s the taking part that counts.